Best Organic Beauty + Giveaway! Since I started using organic beauty products a few years back, I have been hooked. 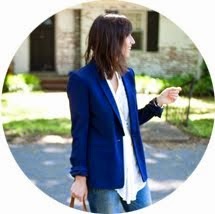 Charleston Naturally carries some of the best products around and they are my go to stop for all things organic beauty. They just recently launched their sister site, Organaca. Organaca carries a curated collection of beauty products that are always safe and naturally luxurious. Suki is one of my favorite brands and I use their products daily. 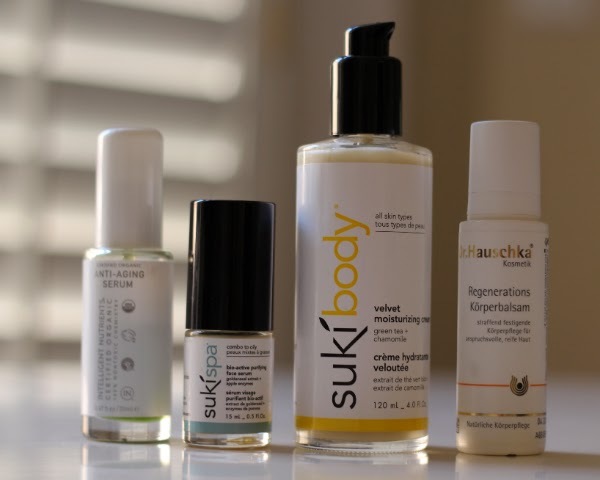 A few of my favorites are the Suki foaming cleanser and the Suki moisturizing body cream. The foaming cleanser smells amazing and removes all kinds of grime without being abrasive. It's also great because you only need the tiniest amount to get a ton of foaming cleanser = it lasts forever. The body lotion is equally awesome. It's light and leaves my skin super soft. 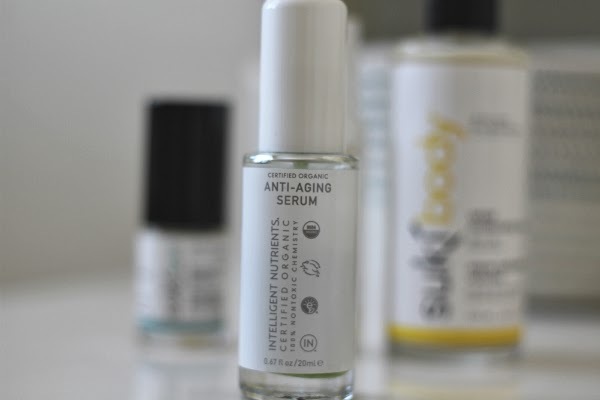 I love all the Organaca + Charleston Naturally products, but perhaps my all-time favorite is the Intelligent Nutrients anti-aging serum. I'm convinced that oils are the way to go. My skin is way too oily to use this during the day, but I have been using this oil at night for a year or so and I am serious when I tell you that my skin is clearer and brighter. This serum is liquid magic. Good news! Organaca has generously provided me these two fabulous products to giveaway to one lucky winner. 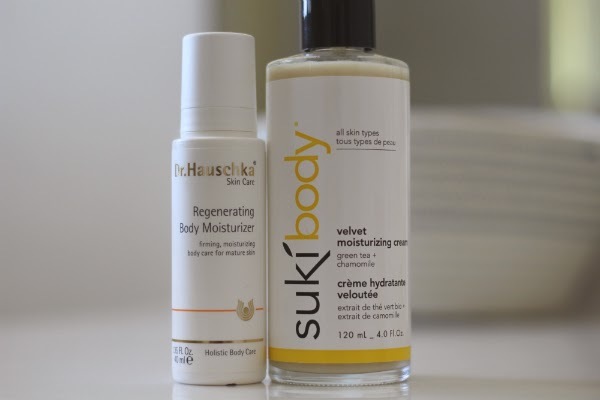 Use the Rafflecopter widget below to win the luxurious Suki body lotion + Dr. Hauschka regenerating body moisture. Not only can you enter to win, but you can also receive 15% off your first order with the code PUMPKIN15. There's no better time than now to scoop up a few of these amazing organics. 1. Use the Rafflecopter Widget below and click the +1 button next to "Click here and enter to win!" and follow the instructions. So easy! 2. 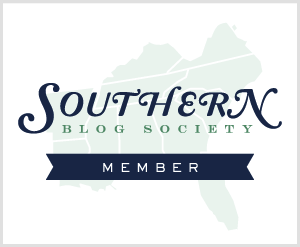 Please only enter the Giveaway if you are a United States resident. 3. The Giveaway will close on Friday, April 4th at 11:59pm EST and the winner will be chosen via Rafflecopter. 4. You can add additional entries by liking The Pumpkin Spot on Facebook / Twitter + Organaca on Facebook. These are NOT required. 5. Please check out the Terms + Conditions in the Rafflecopter widget below for more details and good luck! Disclosure: I was generously provided products from Organaca. All opinions are always my own. That serum sounds sooo great! I was also daunted by the thought of putting MORE OIL on my face, but I've had good results with argan oil. Would love to try this out! This stuff is great. I received a sample of the face scrub and was SO sad when I ran out. Thank you for the opportunity to win some more!